How does it feel to become a CPA? “It’s amazing,” says Su Letya, one of the 89 new CPAs feted by close to 300 guests − including family, friends, honorees, and members − at “Celebrate the Profession,” the MACPA’s 2015 Newly-Licensed CPA Swearing-in Ceremony at the Hilton BWI. Letya cites the wealth of education and knowledge gained through earning her CPA and believes it will open doors to “a lot more opportunity.” One such opportunity she is heading into within the next few weeks is a move to joining the assurance function at CohnResnick. “I love my (current) firm,” says Letya, but she looks forward to growth opportunities in her new role. Kate Trang, joined at the event by her husband, Brian Lazarus, and her daughter, Brielle, said she is “very excited and relieved” to have achieved earning her CPA license, noting the challenges of simultaneously working, studying for and passing the CPA exam, and being involved in family life, especially with a very young daughter. She credits her firm, Stoy Malone & Co., with providing support and flexible hours. Carlos May agrees, saying, “The hardest part was balancing studying and work.” May, who works for District Photo, Inc., said he chose to pursue the CPA for the value it brings, with the knowledge base being the best part. “I always wanted to be a CPA,” he adds, noting the best opportunities for accountants come with being a CPA. Candice Cramer, a senior accountant with EA Engineering Sciences, says earning her CPA is a sense of accomplishment. “It feels like all the hard work paid off,” she says. She says that’s why she joined the MACPA. “I hope to learn from other CPAs that are in positions like CFO, CEO, how they got there.” Currently, Jiang is a manager of accounting at Howard Community College Education Foundation and teaches a first-year accounting class. James Lee, director of internal control for Verizon, wondered aloud if he was the oldest new CPA in the room. With an MBA and decades of experience working in the internal control function at Verizon, what motivated Lee to get his CPA at this stage in his career? It’s all about transformation, benchmarking, and being “best in class,” says Lee. “The Hackett Group did a financial transformation study at Verizon, and one thing they compared was the number of certifications held by employees. They found the number of CPAs on staff was much lower than benchmark companies, and encouraged people to seek the CPA so their workforce would rise to ‘best in class,’ as part of talent development,” explains Lee. Ernie Paskiewicz of Gross Mendelson & Associates described why it’s important to his firm to be a sponsor of the Swearing-In celebration. “We like to support our men and women that have gone through the process and passed the exam,” he said. “We get them some tickets to the event so they can attend with their families, and we try to make sure at least one or two partners are here.” He adds that his firm’s HR director knows the importance of staff studying for and passing the exam. 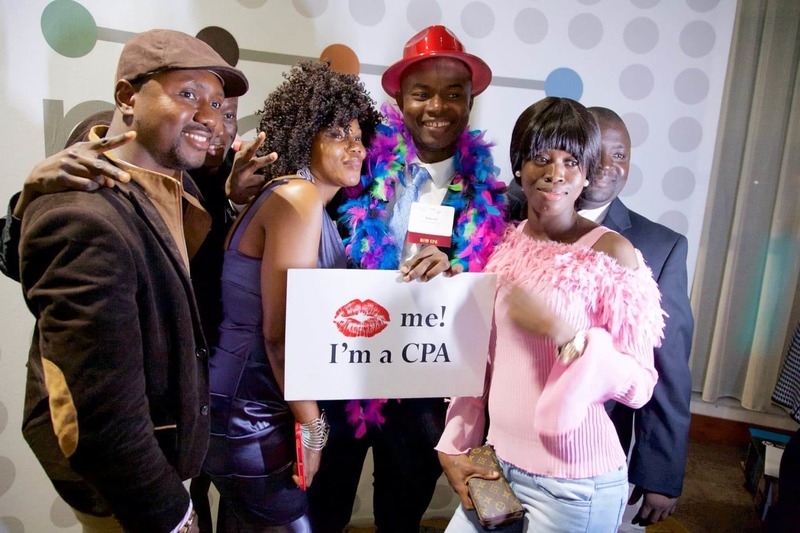 His advice for newly licensed CPAs? “We try to make sure they understand everything’s not all done when you become a CPA; you’ll still learn and make mistakes and grow. This is the start, not the finish,” Paskiewicz says. Keep an eye on CPA Success for highlights from remarks by MACPA CEO Tom Hood, AICPA Vice Chair Kimberly Ellison-Taylor, and others at the Newly Licensed CPA Swearing-in ceremony. MACPA expresses its appreciation to Victoria Willkins, commissioner, Division of Occupational and Professional Licensing, Maryland Department of Labor, Licensing and Regulation, and to the members of the Maryland Board of Public Accountancy for joining us at this event. Partners of the Profession: ClliftonLarsenAllen LLP; Gross, Mendelsohn & Associates; KatzAbosch; Hertzbach & Company; CohnReznick Baltimore; Deloitte; KPMG; PwC; EY; and Grant Thornton. Supporters of the Profession: HeimLantz PC; Smith Elliott Kearns & Co. Friend of the Profession: Stoy, Malone & Company.